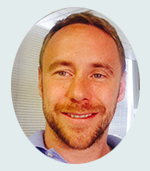 Glen is the clinical director of Hemel Physio, based in Apsley. He has completed his Masters in Advanced Musculoskeletal Physiotherapy at the University of Herts and is a skilled and experienced manual therapist. He uses a combined treatment approach to help his clients optimise their rehabilitation potential including manual techniques, specialist exercise programmes and strength and conditioning for clients at all sporting levels, particularly in endurance sports. (Twitter @HemelPhysio). Glen and Ben teach Runing Masterclass and Hip & Knee Masterclass courses knee and ankle courses around the world.